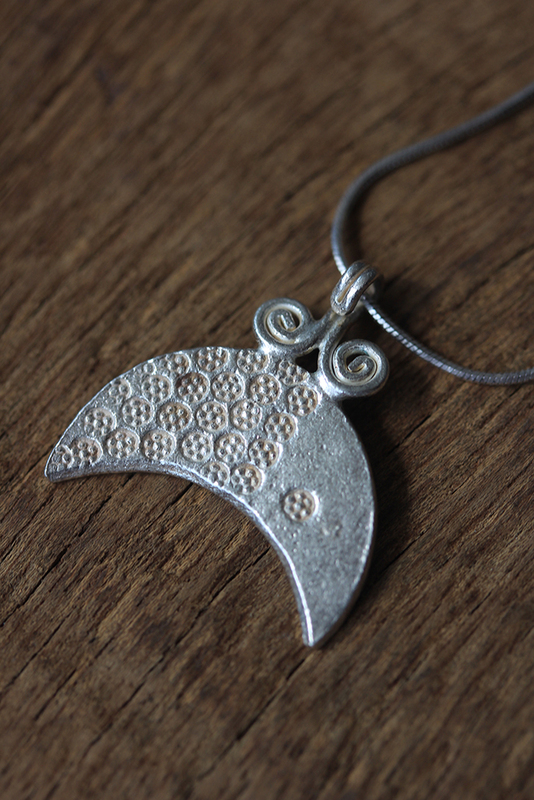 They are handmade in 95% silver and are hand stamped on surface with various patterns (spirals, flower pattern, hammer strikes). 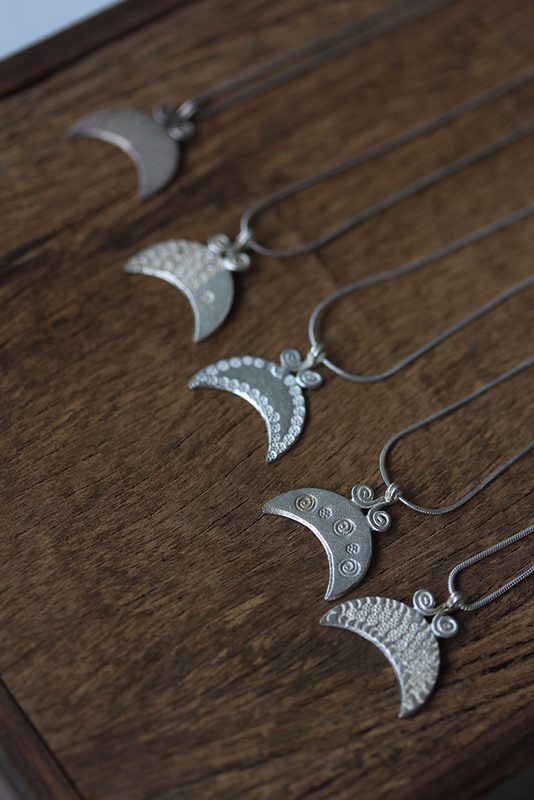 You can choose between 5 different design. 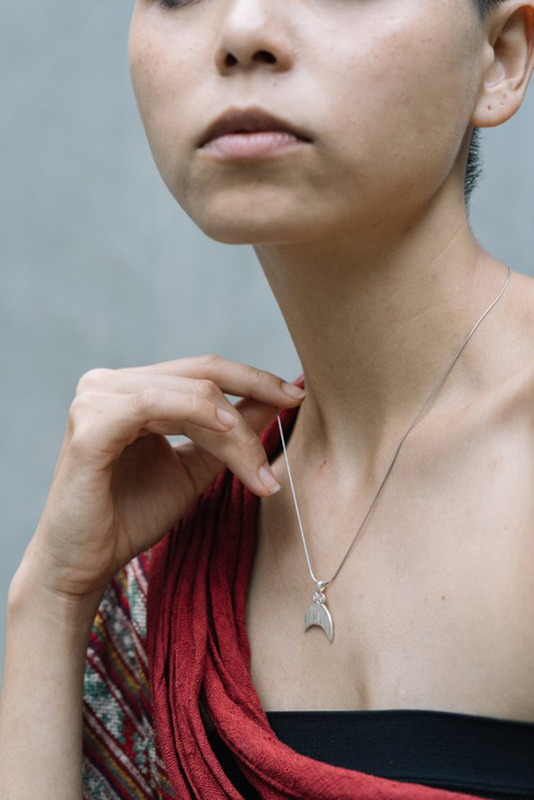 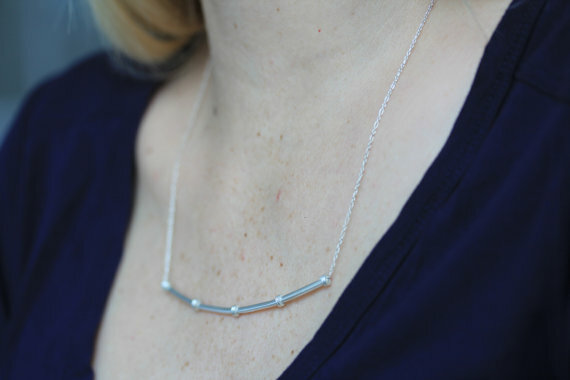 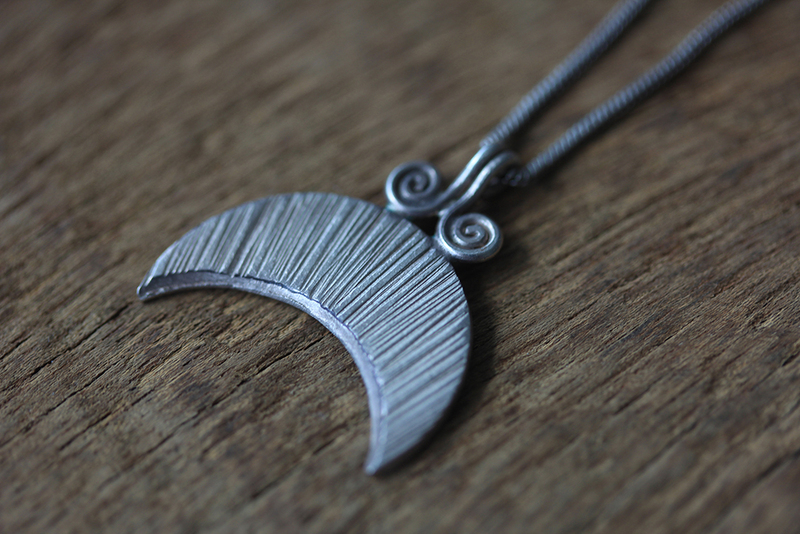 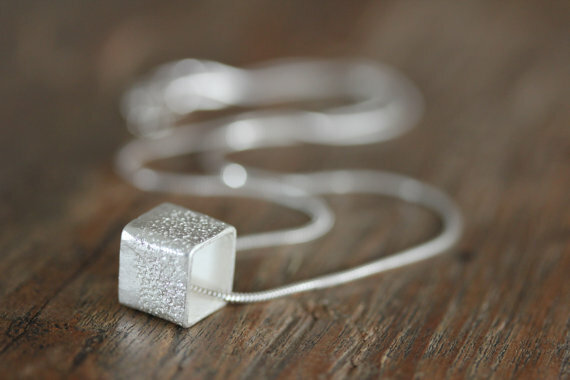 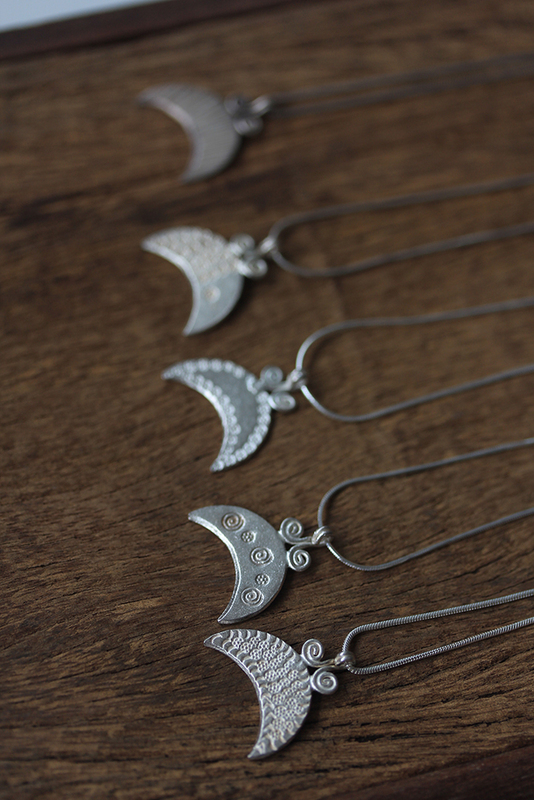 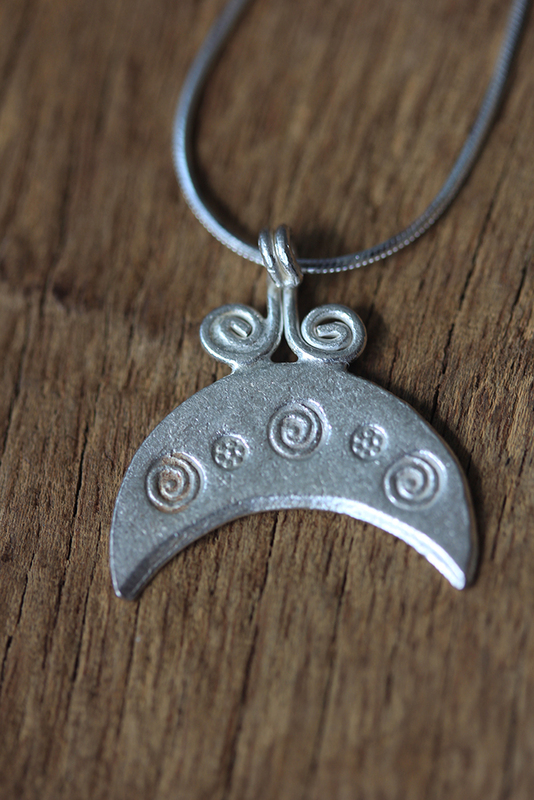 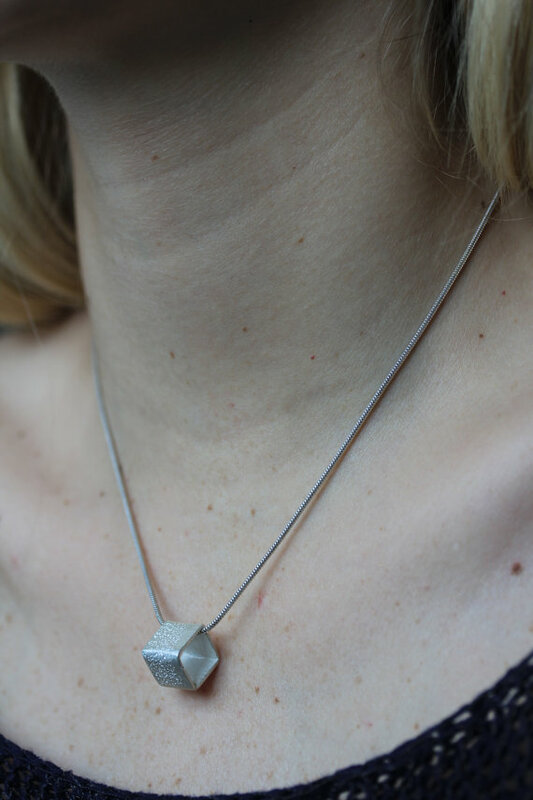 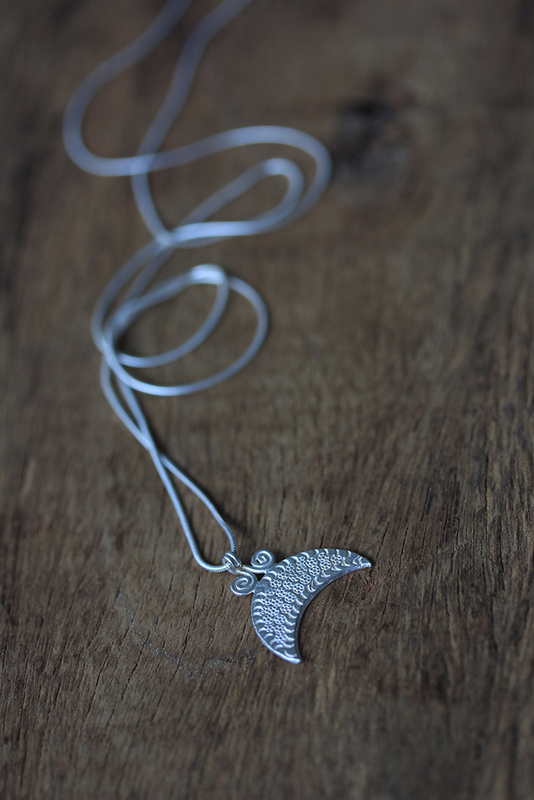 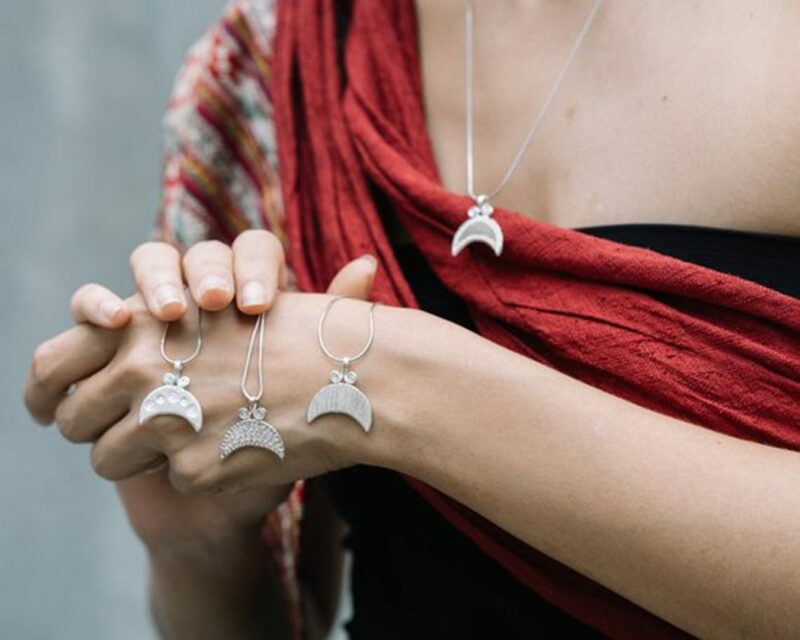 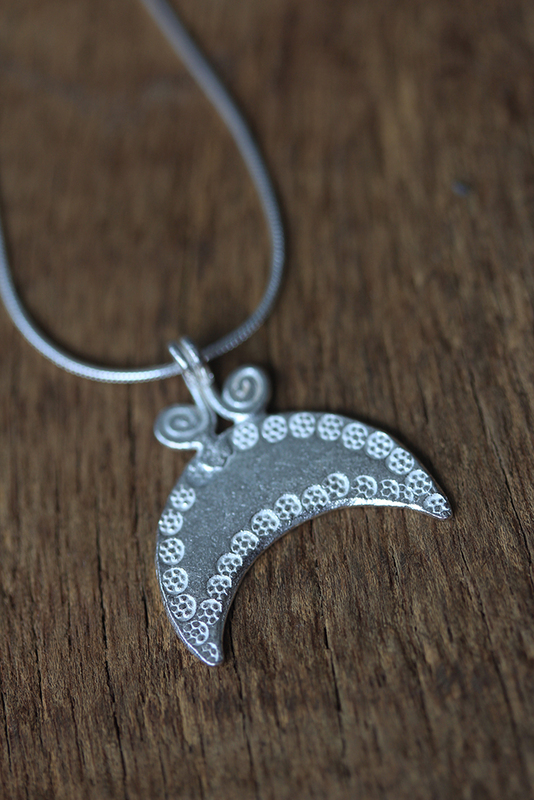 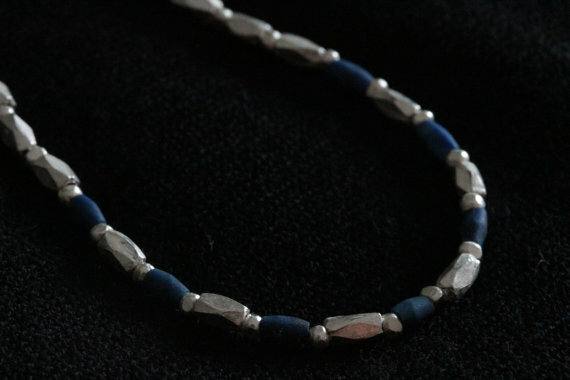 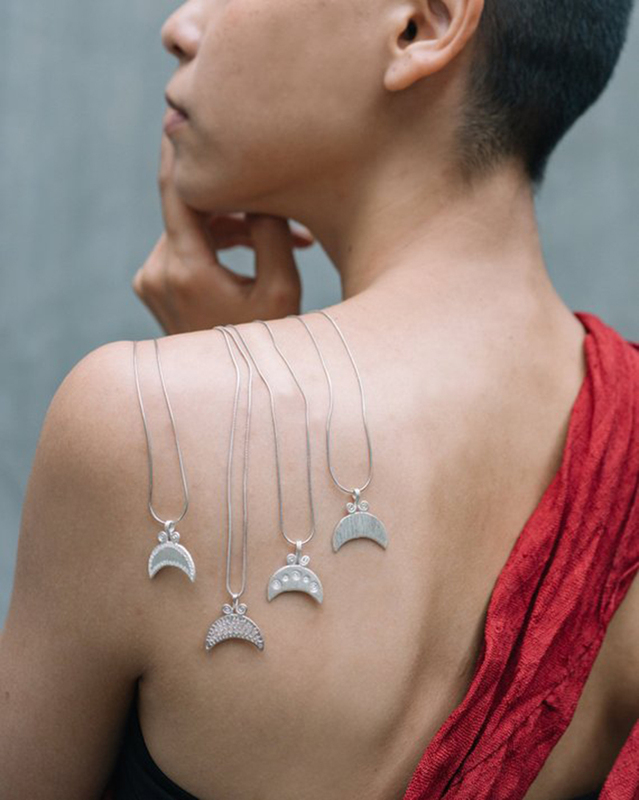 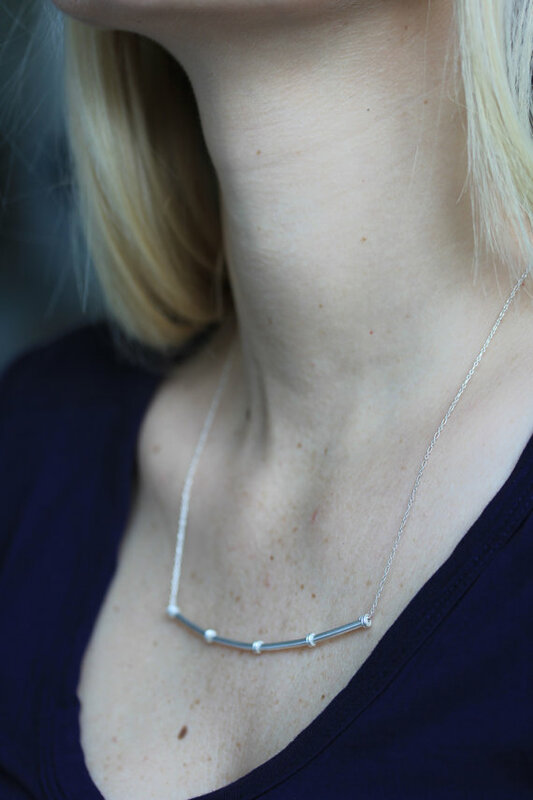 The moon amulet is about 2×2 cm, the necklace is 45cm long.